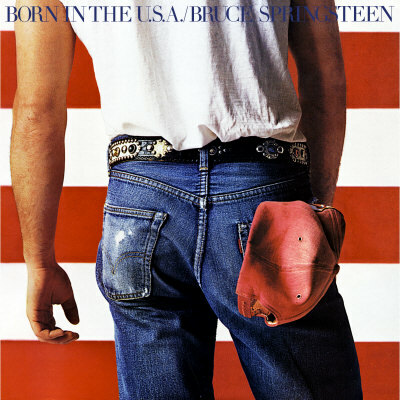 I used to think I simply wasn’t a Bruce Springsteen fan. Then my tune dramatically changed. I stumbled upon Bruce’s version of “Because The Night” sometime around 2008. I had always enjoyed hearing the song in various cover versions, but I never knew it was originally written and performed by Springsteen and the E Street Band. I then bootlegged Bruce’s Greatest Hits album and the Live 1975-1985 album from some friends. From then on I was hooked. Today I own almost everything Springsteen has ever put out, check out Backstreets on a daily basis, and will be attending my 3rd live show this weekend. 17-year-old me wouldn’t believe it if you tried to tell him what a fanatic I am today. Sometimes you’re just plain wrong about things. Thankfully, you’re allowed to change your tune in life. You are not stuck as the person you are today for the rest of your life. At least, you don’t have to be. By all means, you are free to continue being the same person you are today for the rest of your life. You are well within the rules of life to never experience anything new. It’s your right to only know and like what you know and like today from this point on. You don’t ever have to admit you were wrong about something in life. You have the freedom to always think you are right. But I once traded in a Bruce Springsteen CD because I didn’t connect with it. Now he’s my favorite musical artist of all time. That shows me that I don’t always know it all. That shows me that I’m probably wrong about some other things in life. That shows me that I need to open up my mind and be willing to learn something new everyday – even about the things I think I know everything about. You can change your tune. You can be a new person. You can put your old identity behind you. You may be wrong. There’s no shame in this. Admitting it might just lead you to discovering something you love. Humble yourself. Put your pride aside. Listen to the music. Is there anything you’ve ever changed your tune about?